It was the bank holiday weekend and that means only one thing: brunch! Be warned though, this post turned into an opinion piece as we set out to write a café review but got somewhat sidetracked. If you’re not interested in hearing two left-leaning yuppies harp on about gentrification, skip the last few paragraphs. Now, without further ado, on with the review. We have been meaning to try Sparrow in Lewisham for a while because, simply, it looks really good. You wouldn’t think that Lewisham roundabout is the immediate choice for an ultra-trendy new restaurant with a seasonal menu but a husband and wife team have set up their first independent venture here. They have previously worked at places like St. John and Pollen Street Social and so the venue comes with a pretty serious pedigree. Also, when you look in the window, the décor is fabulous and the food always looks amazing. We started with a cup of coffee and a lassi. The lassi was sweet and fruity but disappointed a little as it was full of ice and wasn’t therefore as heavy on the thick dairy mouthfeel as we had hoped for. The coffee however, was a corker: thick and oh-so-smooth, with lots of crema and just a hint of bitterness. It was made just about to perfection. A tackled the full English breakfast, which absolutely hit the spot. It comprised a slab of bread layered with dripping, salty bacon, a delicious and well spiced banger, half a sweet grilled tomato, a runny poached egg, earthy fried mushrooms and sweet, sticky home-made ketchup. The chef absolutely nailed it and, as the waiter correctly pointed out, A inhaled the food. C opted for the coconut milk appam. This was not something we had seen before and is a crispy rice pancake made roughly into the shape of a bowl. In this case, it was filled with a kind of creamy, coconut rice porridge. Like A, C smashed her way through her plate in double-quick time. It being Easter and the menu being seasonal, Sparrow was also serving home-baked hot cross buns. These were crisp on the outside, heavily spiced and full of fruit. 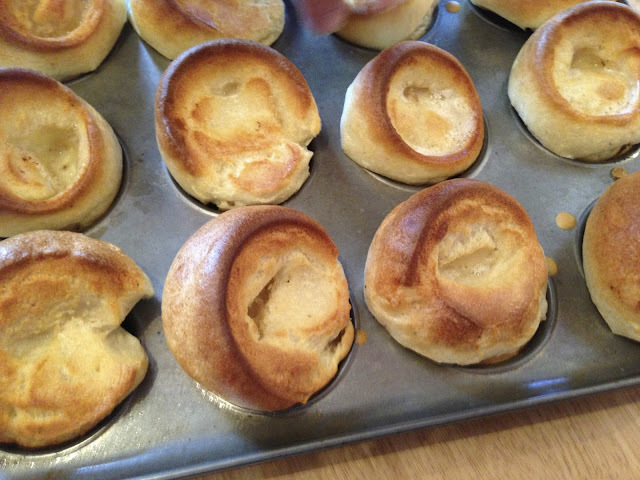 With a slathering of butter, they were incredible. The food was great, but we were left with a slightly sour taste our mouths. This was, quite honestly, due to Sparrow’s pricing given its location. A very nice, but not particularly ample, brunch came in at over £30, which felt like a lot for a café in Lewisham. Also, and we feel we have to point this out, charging a fiver for one hot cross bun is daylight robbery. We don’t care how good it tastes, there is no way a single bread roll should cost more than an entire meal at McDonald's in an area like Lewisham. Put another way, we could have instead gone Percy Ingle, a great local bakery that's situated literally around the corner, and availed ourselves of their Easter weekend offer on hot cross buns. We'd have left the bakery with a dozen - you read that right, an actual dozen - buns for the princely sum of £5.10. We understand that Sparrow is a sit-down place, but even so, the price difference is scandalous, especially when you know that Sparrow adds a service charge of 12.5% as standard. At these levels, Sparrow's pricing cannot possibly be seen as a reflection of its overhead plus a reasonable margin. We are all for new and exciting places coming to an area, especially when the area in question needs a facelift. However a new restaurant should, we feel, reflect the budgets of the customers it is most likely to attract, that is to say the locals. We have nothing bad to say about the food; the real problem with Sparrow is just how out of place it is on Lewisham roundabout. One can easily see a brunch spot like this going down quite well in other localities nearby. People might still wince at the pricing, but Blackheath, Greenwich or even trendy, up-and-coming Deptford could all be a good fit for a place like Sparrow. However, perched where it is, it just feels wrong. We clearly are not advocating that every eatery in the area needs to be a Greggs or a chicken shop, but this isn’t the kind of restaurant that that’s in any way geared up for Lewisham’s residents. A cynic might say that this is the kind of joint that’s been precisely set up to ride the wave of gentrification that’s affecting (or should that be afflicting?) this corner of South East London. We fear that the choice of location is a mistake and could adversely affect what is a good addition to the local scene.